Red Lipstick. ahh....My favorite color! I've always said. A lady in red lipstick is one to look out for. I know when I wear red lipstick I feel confident. Like I'm ready to take the world by storm!!! (well, one day at a time but you get the picture!) 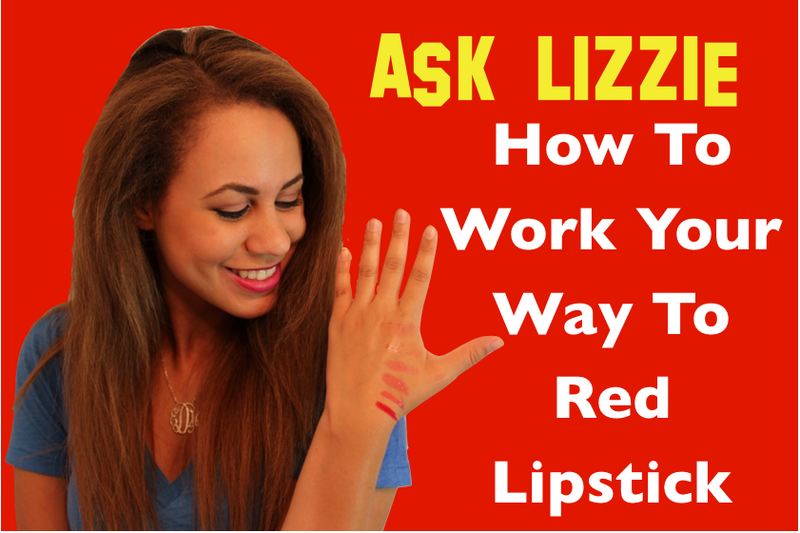 I'm here to tell you about my guide to working your way to red lipstick! If your not exactly ready to full on wear red lipstick right away here's the perfect guide for you! This also is part of my new series called Ask Lizzie! So Don't forget to ask me questions!! !